Seven ways to get your sales team to abandon old habits and adopt new tools. Imagine you’re standing at the base of a 72-story skyscraper in Singapore, and somewhere within that building, there’s the potential for a new client. How many doors would you have to knock on to find that prospect. And even then, how would you know what their challenges were, or how you could help solve them? That’s a challenge that sales teams in my industry – freight forwarding – have been grappling with for years. A traditional industry, with a conservative approach to adopting new technologies, this same technophobia often extends to our salespeople as well. Traditional – some might say “antiquated” – sales tactics like cold-calling, sending letters in the mail, and going door to door are still the main tools teams have in their arsenal — tools that are becoming less useful every day. But at Crane Worldwide, a leading global freight management and logistics service provider, we knew from day one that we wanted to do things differently. We pride ourselves on pioneering and integrating the latest innovations in the industry at Crane, because it enables us to better connect with and serve our customers, helping them meet their full potential. As chief sales officer, it’s my job is to arm my team with new tools they can use to be more effective, to help them accelerate their sales cycle, to close bigger deals. To do all that, I knew we needed to update our sales tactics. We had to eliminate the legwork of going door to door and making fruitless cold calls. We had to look to new technologies to help us scale back on time-intensive tasks and scale up on making real connections. And for us, this meant social selling with LinkedIn Sales Navigator. 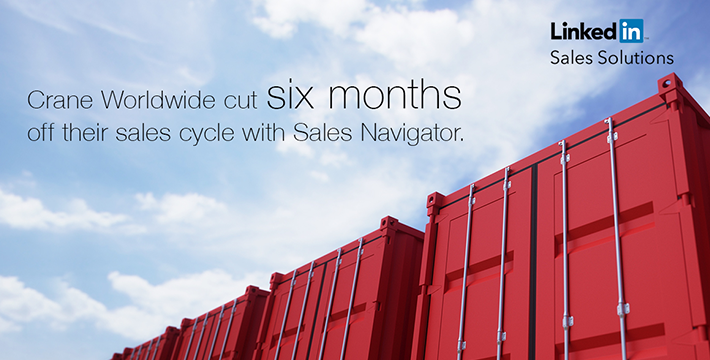 Many people on our sales team were unfamiliar with Sales Navigator. Even more were comfortable just sticking to the same old tactics. We needed to figure out how to get them excited about something new. Find champions within your senior leadership team to promote the use of Sales Navigator during conference calls and management meetings. Share examples of team members who are successfully using the platform, and describe the specific tactics they’re using to drive sales. Regularly communicate the benefits of Sales Navigator – repetition is crucial – and provide the sales team with links and resources to help them get started. Encourage your sales force to make Sales Navigator part of their daily routine – starting with 15 minutes in the morning and afternoon. Ask the team to “try to break Sales Navigator” by constantly trying new things within the platform – trial and error is a great way to learn a new technology. Tap into the competitive nature of salespeople by publishing everyone’s Social Selling Index (SSI) scores once a week. Use the insights, strategic recommendations, and training resources from your LinkedIn account team. If some members of our sales team were initially resistant to Sales Navigator, you wouldn’t know it by watching them today. Once my team started making social selling a daily habit, they learned just how efficient Sales Navigator can help them be. Instead of going door to door, they can now research potential accounts, discover solid leads, and connect with prospects through InMail – all without leaving their desk. That lessened legwork has helped us shorten our sales cycle by an average of three to six months. We can find leads faster, qualify them quicker, and ultimately hit a lot more market space in a short period of time. So now when one of our sales reps is standing at the base of that skyscraper in Singapore, she’ll know exactly which client she’s there for, which door to knock on, and how she can help. And that’s because this time she will have an appointment, thanks to Sales Navigator. 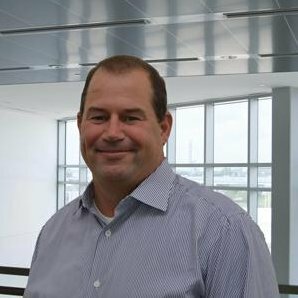 Want to learn more about how Crane Worldwide uses LinkedIn Sales Navigator? Read the full case study.